BP boss Bob Dudley, among the first to say oil will stay lower for longer, is becoming more confident. Some of the world’s most influential traders see a broad range for oil prices in the coming months. Glencore Plc’s Alex Beard said Wednesday crude could rise to as much as $90 a barrel in a year’s time while Vitol Group Chairman Ian Taylor predicts $65. Because of this uncertainty, Dudley, Royal Dutch Shell Plc’s Ben van Beurden and Total SA’s Patrick Pouyanne reiterated this week they won’t loosen their discipline on spending, even as they churn out huge amounts of cash. Still, higher prices may remove some spending “tightness,” even as BP will stay within its $15 billion to $17 billion annual investment budget, Dudley said. The company plans to approve a number of new projects that it has worked on with an assumption oil wouldn’t fall below $55 a barrel. At least two of these will probably be in India, he told reporters. Each of the company’s projects will make money at less than $40 oil by 2021, Dudley said. Supply and demand in the oil market is balanced, he said, though prices remain choppy. Much of that is “emotional” as traders gauge the impact of U.S. sanctions on Iran’s exports that kick in early next month. Brent crude has gained about 20 percent since mid-August, helping oil companies boost their cash coffers. 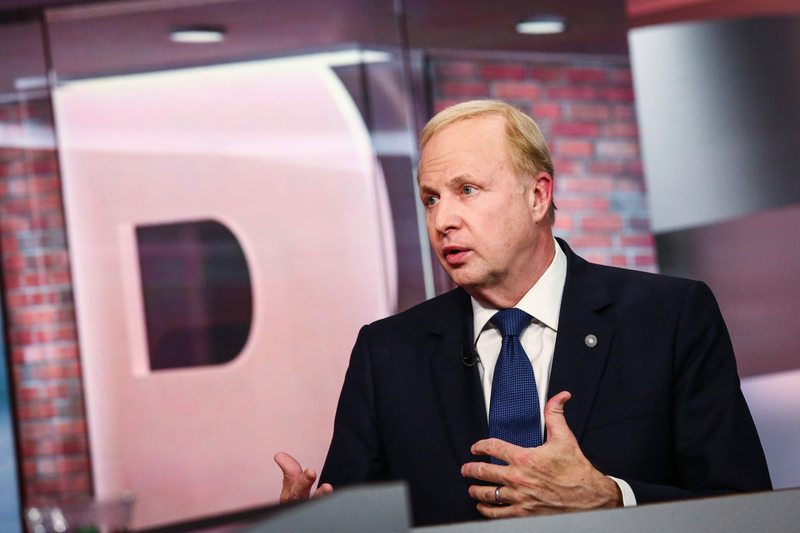 BP’s priority remains to use the extra money to reduce debt, Dudley said. The company expects to complete a $10.5 billion acquisition of BHP Billiton Ltd.’s U.S. shale assets this month, Dudley said. It’s progressing on a $5 billion to $6 billion divestment program to help pay for the purchase as it opens data rooms for older North American gas assets, he said.